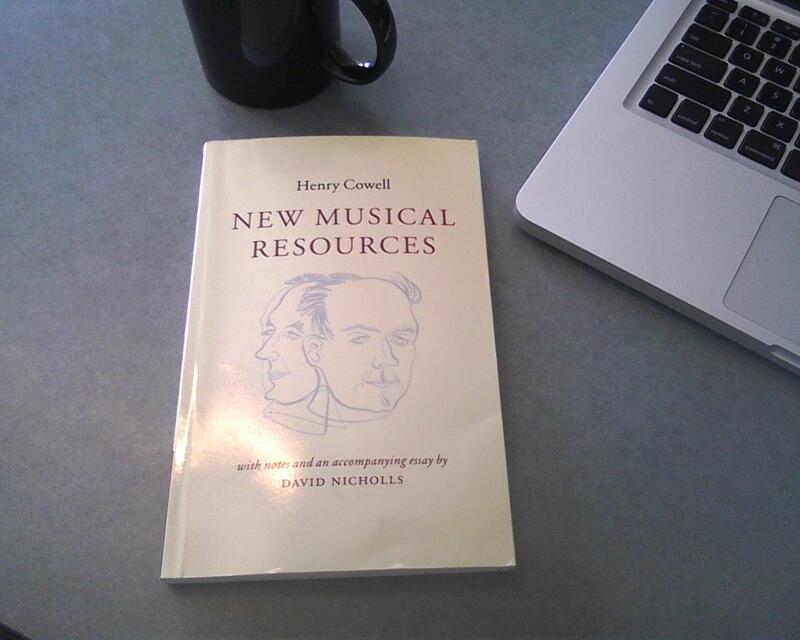 Newest addition to my Cowell reading: Henry Cowell’s own book New Musical Resources. First published in 1930, this book represents many of Cowell’s earlier ideas about music – there are three major sections covering Tone Combinations, Rhythm, and Chord-Formation. Each section is further divided into chapters covering (among other things) Scales of Rhythm, Dissonant Counterpoint (about which there were no written guidelines what Cowell was writing the book), and a whole 23 pages on Tone Clusters. I’m looking forward to reading this (so far only read the introduction) as well as the accompanying essay by David Nicholls.